I am so glad that I read the other reviews that raved about this book, otherwise I would have never gotten through what I thought to be the torturous first third. 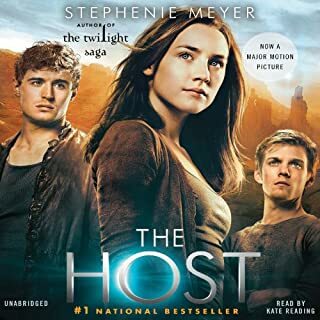 Once the main character makes the transition from a "vanilla" alien type personality to a more human emotional form, the book gets really good. After the first third there is lots of action and all worth the wait. I highly recommend this read. The four stars are only because the first third could have been greatly improved. 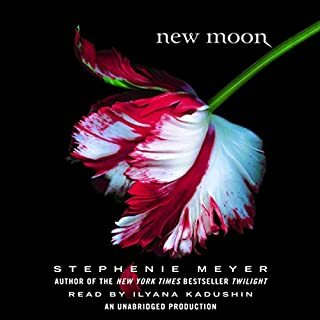 My thirteen-year-old daughter got me into this series, and I have enjoyed Twilight and New Moon more than the majority of adult novels I've read over the past couple of years. This story had a unique, intriguing protagonist with a quirky personality and an unexpected view of the world. The author has also taken a new twist on a novel about vampires which made it fresh and exciting. The tension and attraction between the mortal sixteen-year-old protagonist and the young vampire she is attracted too, along with the danger of knowing the young girl’s life is at risk every moment she is around him raised the tension and suspense. If you like suspense, romance and vampire stories, you'll love this series. I recommend starting at the beginning of the series, because the second book has a prolonged "dark beginning" that I would have found it hard to get through if I hadn't read the first book.